This project identifies potential sources of valuable light to medium oil in northeast British Columbia's portion of the Western Canada Sedimentary Basin. Northeast British Columbia’s Portion of the Western Canada Sedimentary Basin is well known for its natural gas reserves but little work has been done to identify the potential for accessing lighter oil in the region since the widespread adoption of horizontal drilling and multi-stage hydraulic fracturing. 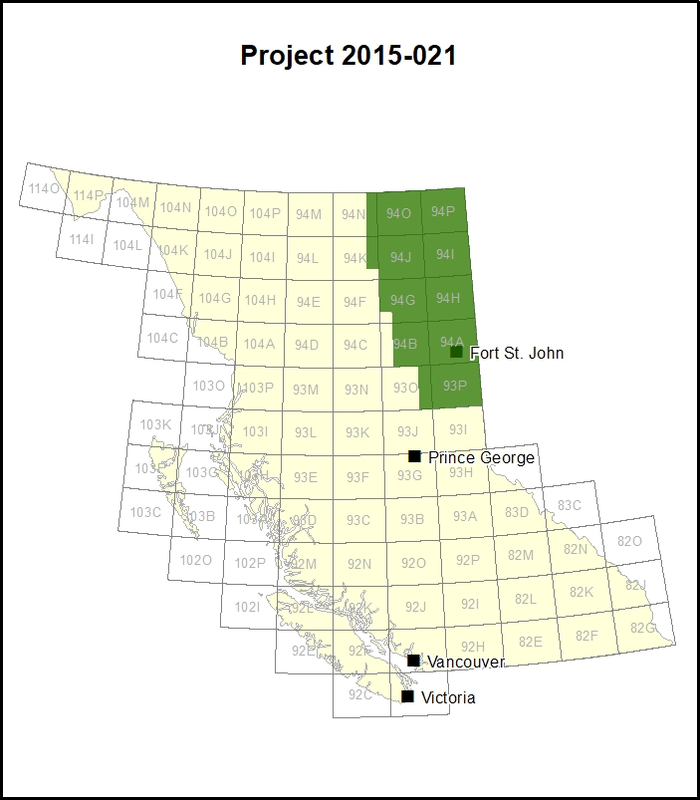 This project addresses the shortfall by identifying and assessing 27 possible resource oil targets in the Western Canadian Sedimentary Basin. It has the potential to bring new exploration, investment and responsible development. This project is designed to identify new exploration potential for oil that can be accessed by horizontal drilling and multi-stage hydraulic fracturing (‘resource oil’) in the northeast BC’s portion of the Western Canada Sedimentary Basin using new and existing analyses to grade the prospectivity of 27 possible resource oil targets. This project has the potential to guide future light oil development in British Columbia, which could attract new investment and make British Columbia less dependent on external oil sources. Light oil is significantly more valuable than the heavier oils, which are often associated with oil sands, and accessing it has lower environmental impacts. The project makes independent data about the potential for lighter oil development in the region available to the energy sector, communities, First Nations and government to inform decisions. Northeast British Columbia’s portion of the Western Canada Sedimentary Basin. Of 27 possible resource oil targets, 8 were rejected as unsuitable and 19 were deemed suitable for analysis. The Halfway (in the greater Peejay and Buick Creek areas) and Chinkeh (in the Maxhamish area) formations were identified as ‘A’ grade targets. One play, the Doig Formation sandstones, was graded ‘A/B’ because of existing production and the potential for further development. Six were graded ‘B’, indicating real potential but lacking evidence of extensive oil ‘fairways’. Ten of the possible targets were graded ‘C’, having little realistic prospectivity.